On 24 February 2015 Bangladesh on behalf of the 34 Least Developed Country members (LDCs) of the World Trade Organization (WTO) submitted a request for an extension of the transitional period under article 66.1 TRIPS with respect to pharmaceutical products until the country is no longer classified as LDC. The original extension, set to expire on 1st January 2016, specifically removes the obligation for LDCs to comply with Section 5 (Patents) and Section 7 (Protection of Undisclosed Information) of Part II of TRIPS, including any obligation to enforce rights under these provisions. It is a little known fact that since the adoption of the 2001 Doha Declaration on TRIPS and Public Health, LDCs have frequently used the extension in day-to-day procurement of low cost generic medicines, in particular to access medicines needed for the treatment of HIV. While LDCs have not been obliged to implement the TRIPS Agreement thus far, the reality is that most of them have had patent law on the books for many years. LDCs inherited their patent laws in the post-colonial era when they gained independence from high-income countries. At the time of the adoption of the Doha Declaration in 2001 out of thirty African LDCs only two, Angola and Eritrea, did not grant patents for pharmaceuticals. Medicines, including those needed for the treatment of HIV, are widely patented throughout the developing world including in low-income countries. In sub-Saharan Africa, the regional patent offices – the Organisation Africaine de la Propriété Intellectuelle (OAPI) and African Regional Industrial Property Organization (ARIPO) – offer easy routes for companies to obtain patents. Twelve of the 17 OAPI members are WTO LDC members and 10 of the 19 ARIPO members are WTO LDC members. While today patent licensing and non-assert declarations by companies that hold patents on HIV medicines are common, this was not the case in the early and mid 2000s. Even when companies had made public announcements not to enforce their patents in LDCs, procurement agents would seek assurances of government officials. In general, procurement agencies are reluctant to supply medicines that are patented or of which the patent status is unknown in the absence of assurances by the government. Therefore the ability of LDCs to not enforce patents through simple declarations is of key importance. It provides much needed legal certainty for suppliers and procurement agencies – including non-profit actors – who seek to minimize the risk of patent infringement suits. So How Relevant is the Extension Today? Some may argue that the extension is no longer necessary because ARVs are made available through licensing and several companies have indicated they will not assert their patents in LDCs. LDCs are systematically included in the scope of the Medicines Patent Pool licenses. However not all companies provide licenses for products that are needed in the treatment of HIV/AIDS. Licensing may seem to have become the norm for HIV-related products but this is not the case for all ARVs and it is not the case for most other diseases increasingly affecting LDCs. The LDC request cites non-communicable diseases and in particular the rising incidence of cancer in their countries. The World Health Organization is expected to amend its Essential Medicines List this year to include essential medicines for cancer, of which some are still protected by patents in many countries. The LDC extension is not confined to a particular disease and can be used to purchase or produce any generic medicine. Another argument against the extension of the specific pharmaceutical waiver is that LDCs are not obliged to implement the TRIPS Agreement as whole (with the exception of some articles) until 1 July 2021. This implementation deadline may also be further extended upon request of the LDC members. Therefore, some will argue, the specific pharmaceutical waiver is redundant. However, to date very few LDCs have rewritten their laws to undo previous implementation of TRIPS obligations. The ability to use the specific pharmaceutical extension and in particular the non-enforcement declarations remain essential tools for LDCs and their suppliers of low cost medicines. These tools do not require legislative changes and have proven to be practical and effective. Some LDCs have important production capacity. Bangladesh, for example, is today the only source of generic sofosbuvir, a direct-acting antiviral needed for the treatment of hepatitis C and a medicine the entire world is struggling to access at affordable prices. One could imagine such manufacturing capacity being developed in the African region including in LDCs. LDCs that do not make use of the transition options can of course use the TRIPS flexibilities including the “WTO paragraph 6 system” (aka 30 August 2003 decision). Under the paragraph 6 of the ‘WTO paragraph 6 system” certain regional economic communities can use compulsory licensing to produce, import and export generic medicines to address a common health problem. This is the case for trade groups of which at least half of the membership is made up of LDCs such as Southern African Development Community (SADC), East African Community (EAC), Common Market for Eastern and Southern Africa (COMESA) and the African Union (AU). The extension of the specific pharmaceutical waiver for LDCs is still very relevant today. It is one of the WTO mechanisms for increasing access to medicines that work effectively and have been used on a large scale. It would be a huge mistake not to honour the request by LDCs to leave it in place for as long as it is needed. Ellen F. M. ‘t Hoen is a lawyer with over 30 years of experience in international health working on pharmaceutical and intellectual property policies. 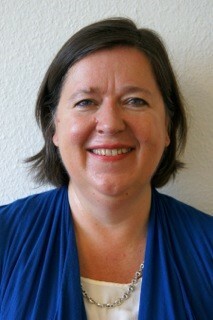 She was the founding executive director of the Medicines Patent Pool, which she left in 2012 to start her consultancy. She is a member of the WHO Expert Advisory Panel on Drug Policies and Management. She is the author of the book The Global Politics of Pharmaceutical Monopoly Power, Drug patents, access, innovation and the application of the WTO Doha Declaration on TRIPS and Public Health” (2009). Currently she works as an independent consultant in medicines law and policy. "Why The Request By Least Developed Countries For An Extension Of The Transitional Period For Granting And Enforcing Medicines Patents Needs To Be Supported" by Intellectual Property Watch is licensed under a Creative Commons Attribution-NonCommercial-ShareAlike 4.0 International License.